Aeratech Home Medical carries the most advanced home ventilators available on the market for invasive and non-invasive applications. Our respiratory therapists work closely with patients and physicians to find the ventilator that best suits your respiratory condition and lifestyle. The Carefusion LTV® Series 1150 ventilator provides portable, advanced ventilation for adult and pediatric patients at home or a post-acute care facility. 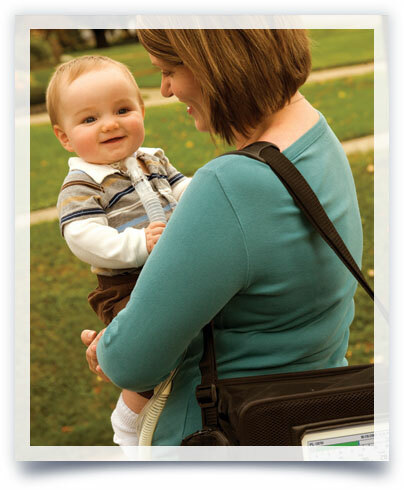 At only 14 pounds, the ventilator provides a wide range of ventilation therapies to meet demanding patient needs, including volume control, pressure control, pressure support and spontaneous breath types. Internal PEEP and integrated spontaneous breathing trial (SBT) on the ventilator helps assess and wean long-term ventilation patients, and can assist with a smooth transition home. 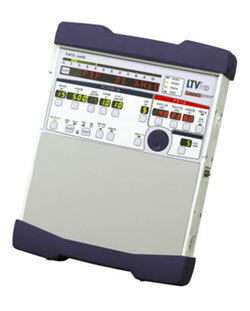 The LTV Series 1150 ventilator enables patients to almost seamlessly transfer from an LTV Series 1200 ventilator to home and travel without requiring changes to patient care. Unlike many other portable ventilators on the market today, the LTV Series 1150 ventilator offers highly customizable settings to support patient success as respiratory conditions stabilize or accelerate. The Trilogy 100 portable ventilator makes invasive and noninvasive home ventilation less complicated with a simplified user interface and Respironics' proven BiPAP technology for greater versatility. 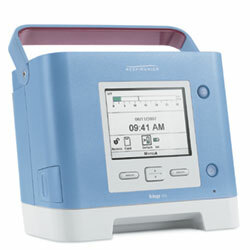 Its lightweight design and internal and detachable batteries make portability easier for patients on the go. Provides both volume and pressure ventilation and delivers the therapy either invasively or noninvasively. Can be used with two different circuits or exhalation ports/valves. Both pressure and volume ventilation can be achieved with either porting block, but the porting block must match the type selected in the set up screens.